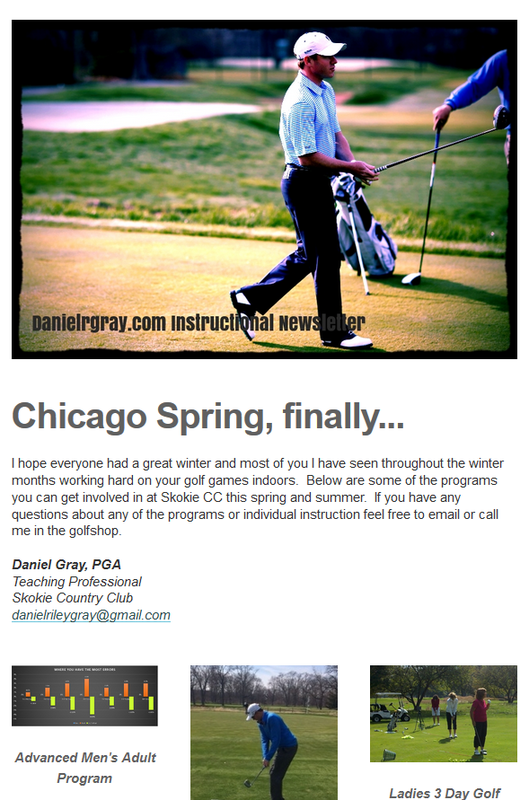 Select the links below to see Danielrgray.com Newsletters and sign up on the left side of your screen to receive future Newsletters. These newsletters will keep you posted on instructional programs and articles that will help you understand my prospective on certain area of the game of golf. These articles are not “Golf Tips”, but rather to help explain some of the ways I think about the golf game, so they will be a little more in depth than your normal “Golf Tip”. Please contact me with any questions you might have about the articles or if you would like to get involved in my instructional program.